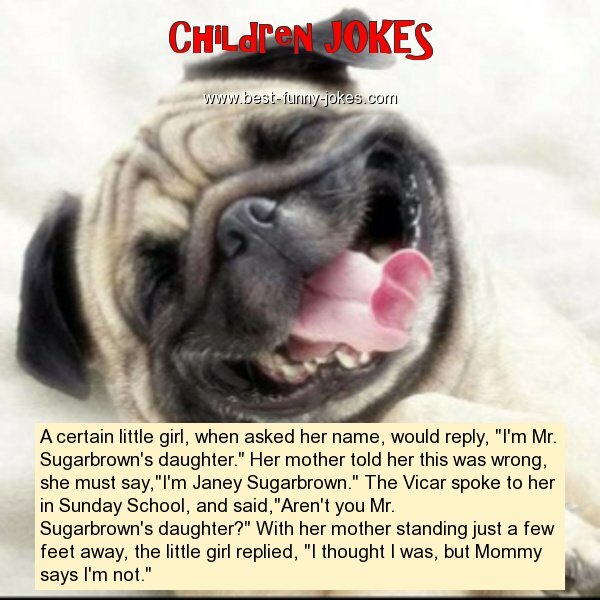 A certain little girl, when asked her name, would reply, "I'm Mr.
Sugarbrown's daughter." Her mother told her this was wrong, she must say,"I'm Janey Sugarbrown." The Vicar spoke to her in Sunday School, and said,"Aren't you Mr.
Sugarbrown's daughter?" With her mother standing just a few feet away, the little girl replied, "I thought I was, but Mommy says I'm not."